Since 2011, Modern Orchid has been delighted to offer approachable, modern Asian cuisine with fresh, vibrant, and original flavours. Executive Chef Philip Peng has over 15 years of experience in preparing Asian food. He worked in high-end hotels and restaurants across South East Asia before relocating to Canada. Philip creates all of the sensational flavours in our modern and original dishes. Our unique and innovative menu is influenced by spice markets throughout Asia, and all of our food is made with the freshest ingredients. Every dish we serve is absolutely homemade; our sauces, appetizers, main dishes and desserts are all made from scratch, with no additives. 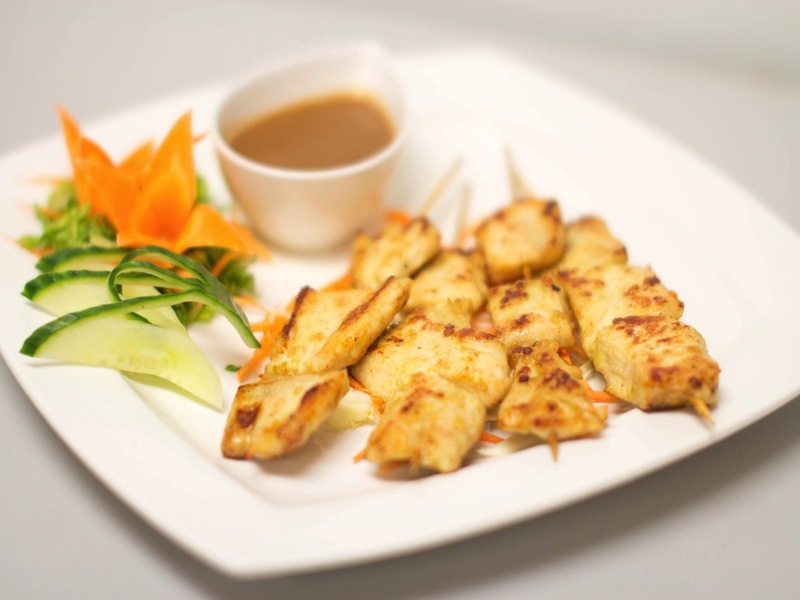 Our menu at Modern Orchid includes many dishes that can accommodate any allergies or dietary needs. Our food is prepared at a medium spice level but it can be modified by request for the daring or sensitive pallet. Many of our dishes can accommodate any allergies or dietary needs. Our food is prepared at a medium spice level but it can be modified by request for the daring or sensitive pallet. 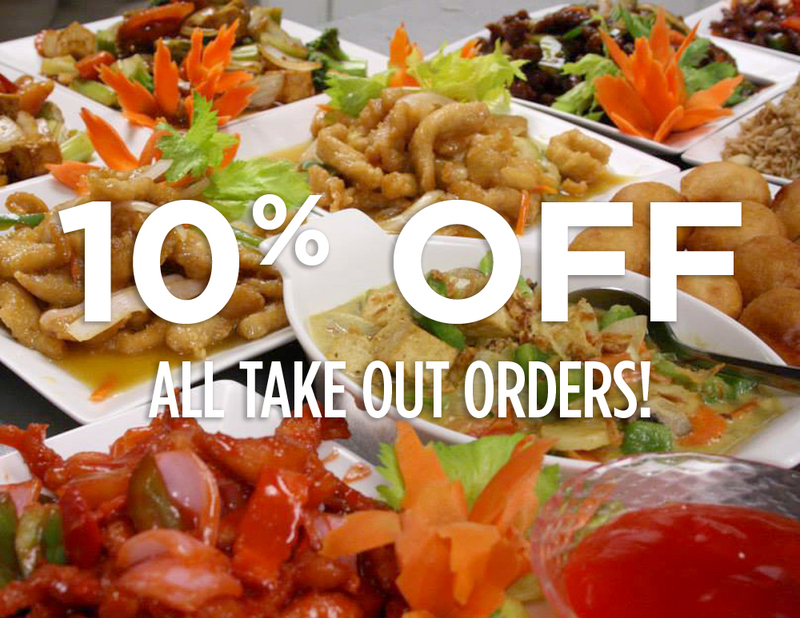 Download our take out menu or view our entire menu selection below. Deep fried crispy roll filled with pork, carrots ,cabbage, water chestnut, and rice vermicelli. Serverd with sweet and sour sauce. Deep fried crispy squid served with house thai mayo sauce. Deep fried crispy shrimp served with a house thai mayo sauce. Deep fried wontons served with house swee and sour sauce. Pan fried pork and vegetable dumplings served with chili vinegar sauce. Five deep fried patties of beef mixed with onions and curry paste, served with house mango sauce. A selection of our favourite appetizers: Spring roll, shrimp Tempura, Finger Fish, Crispy curry beef cake, BBQ pork, chicken satay, and mango salad. Available for 2 or more people. Price is per person. Lobster, avocado, tomato, cucumber, mango and lettuce tossed with house Thai sauce. Grilled chicken mixed with cucumber, carrots and red peppers., served with Vietnamese sauce. 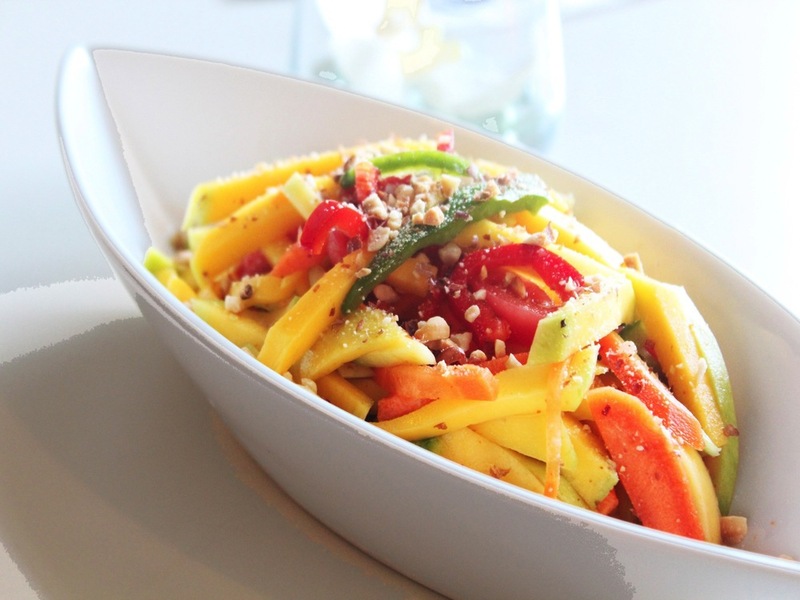 Fresh Mango tossed with carrots, tomato and sweet peppers in house thai sauce, topped with peanuts. Shredded tender green papaya mixed with sweet peppers and carrots in house thai sauce topped with peanuts. The classic Thai soup. Lemongrass and lime juice create a fragrant smell with a spicy, sweet and sour taste. Herb broth made with fresh lime leaves, lemongrass, tomatoes, mushroom. shallots and chilies. Choose Prawn, Chicken or vegetables and Tofu. Shrimp and scallops sautéed with vegetables. Light breaded shrimp, scallops and squid stir-fried with pepper, onion, basil and thai chilli paste. Battered fish fillet stir-fried with pineapple, onions, and sweet peppers in sweet sour sauce. Deep fried fish fillet stir-fried with ginger, onions, celery, sweet peppers, mushrooms and chilli. Lightly flavoured and deep fried squid, cooked with five-spice powder. Squid fried with onions, sweet peppers, celery, broccoli, mushrooms, and carrots in thai spicy paste. Stir-fried mixed vegetables in chili sauce garnished with roasted cashew nuts. Stir-fried eggplant, deep fried tofu, peppers, onions, broccoli, tomato and celery in coconut curry sauce. Mixed vegetables stir-fried in house ginger sauce. Deep fried tofu stir-fried with peppers, onions, chili and basil leaves. Choice of chicken, shrimp or vegetables wrapped with mango, avocado, rice vermicelli, cucumber, carrot, sweet peppers, and lettuce in rice paper, served with mango sauce. Spring roll wrapping stuffed with deep fried marinated shrimps and cheddar cheese, served with house thai sauce. Deep-fried marinated ground shrimp served with thai spicy mayo. Breaded chicken stir-fried with peppers, onions, chili and basil leaves. Fresh salmon stir-fried with onions,. sweet peppers, lotus seed, and celery in house spicy sauce. Deep fired eggplant stuffed with ground shrimp in thai sauce. 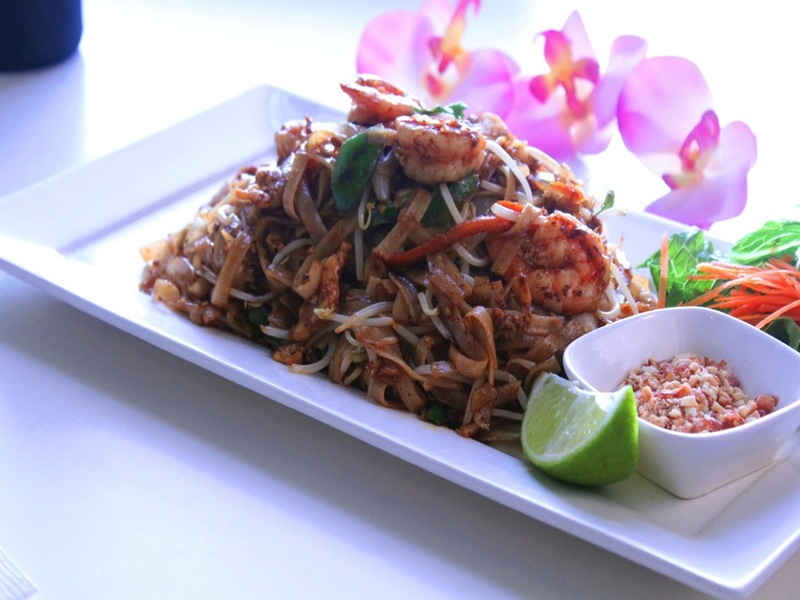 Rice noodles tossed with chicken , shrimp, egg and bean sprouts in house tamarind sauce: garnished with roasted peanuts. Vegetarian option available. 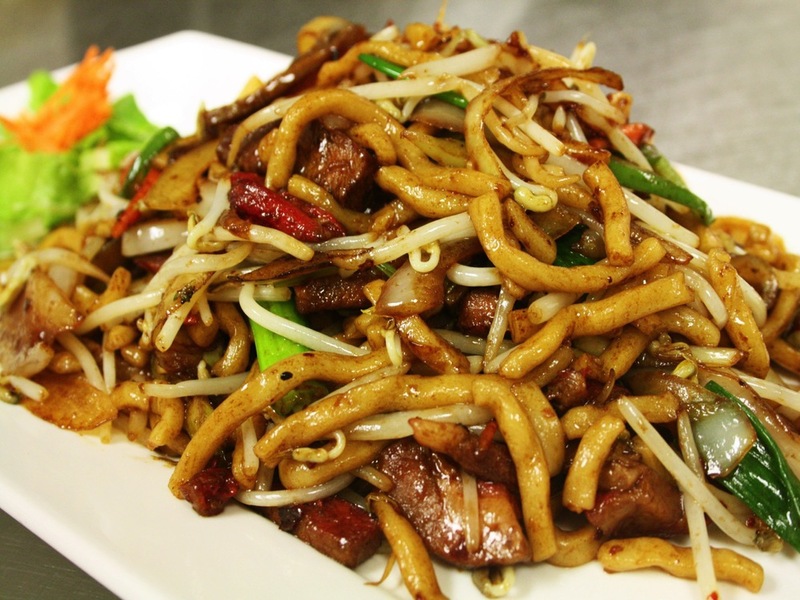 Shanghai noodles with BBQ pork, bamboo shoots, carrots and bean sprouts. Vegetarian option available. Soft egg noodles stir-fried with mixed vegetables. Choice of shrimp, chicken, beef, BBQ Pork, or vegetarian. Shrimp, scallops, BBQ pork, and chicken sautéed with vegetables and served on a bed of fine noodles. Rice vermicelli sautéed with shrimp, BBQ pork, bean sprouts, and shredded vegetables in spicy curry sauce. Rice noodle sautéed with beef, onions, carrots, bean sprouts, and peppers in house Thai sauce. Choice of chicken, beer or shrimp. Udon fried with onions, carrots, celery, sweet peppers, and bean sprouts in Japanese sauced served on sizzling plate. Thai style stir-fried rice with shrimp, scallops, squid, broccoli, peppers, onions. and egg. Vegetarian option available. Stir fried rice with shrimp, pinapple, onions, sweet peppers, and tomato in Thai sauce. Stir fried rice with shrimp, BBQ pork, onions, egg, carrots, and green beans. Tender chicken stir-fried with peppers, onions, chili and basil leaves. Chicken breast stir-fried with mixed vegetables in chili sauce garnished with roasted cashews. Stir-fried chicken with peppers, onions, tomato and celery in coconut curry sauce. Chicken breast stir-fried with fresh mango, onions, sweet peppers in thai red curry sauce. Chicken breast stir-fried with pineapple, basil, onions, and sweet peppers in Thai sauce. Ground chicken fried with onion, basil, peppers and chillies wrapped in lettuce and served with hoi sin dipping sauce. Breaded chicken stir-fried with vegetables in homemade mango sauce served on a sizzling hot plate. Battered chicken stir-fried with onions, peppers, and lemon zest in house lemon sauce. Battered chicken stir-fried with pineapple, onions, and peppers in sweet sour sauce. Battered chicken stir-fried with onions, carrots, peppers, and celery in homemade general tao sauce. Battered chicken stir-fried with onions, carrots, peppers, and celery in homemade ginger sauce. Deep fried chicken balls served with sweet and sour sauce. Lightly floured and deep fried chicken, cooked with five-spice powder. 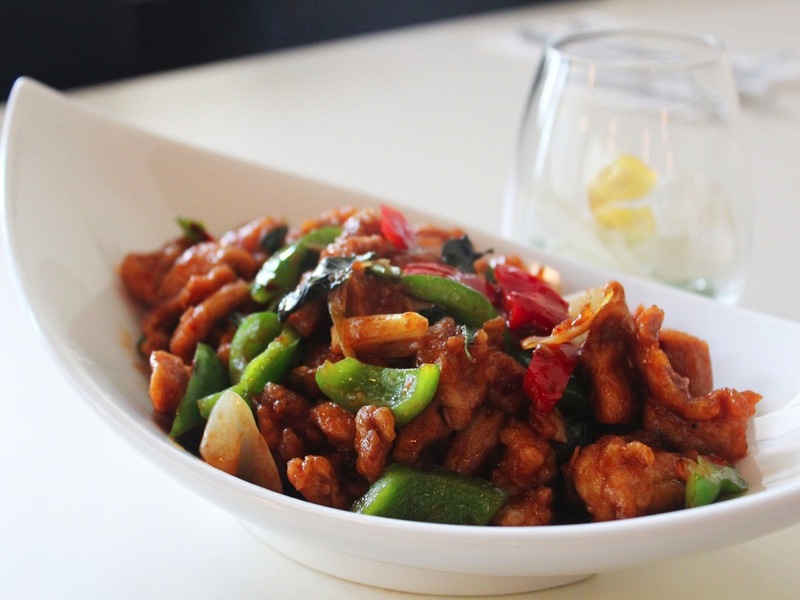 Tender slices of chicken stir-fried with mixed vegetables in hunan sauce and served on a sizzling plate. Tender slices of chicken stir-fried with mixed vegetables in house spicy sauce, topped with roasted cashew nuts. Stir-fried beef with peppers, onions, tomato and celery in a coconut curry sauce. Beef stir-fried with lemongrass powder, peppers, onions, and lime juice in chili sauce. Ground beef fried with onions, basil, peppers and chilies wrapped in lettuce and served with hoi sin dipping sauce. Beef stir-fried with onions, pineapple, peppers in house thai sauce. Beef stir-fried with onions, mushrooms, ginger, and peppers in oyster sauce. Beef with Black Bean Sauce on a Sizzling Plate. Beef stir-fried with onions and peppers in black bean sauce, served on a sizzling hot place. Beef in a crispy breadcrumb batter stir-fried with peppers, onions, celery and sweet chili sauce. Shredded beef fried with onions and served on a bed of puff rice noodles. Battered sliced beef fried with onions, carrots, peppers and celery in homemade ginger sauce. Beef stir-fried with peppers, onion, carrots, and celery in spicy sauce. Deep fried ribs fried with house honey orange sauce. Shredded pork stir-fried with cabbage, bamboo shoots, and vegetables in hot sauce and derved with 6 crepes and a side of hoi sin sauce. 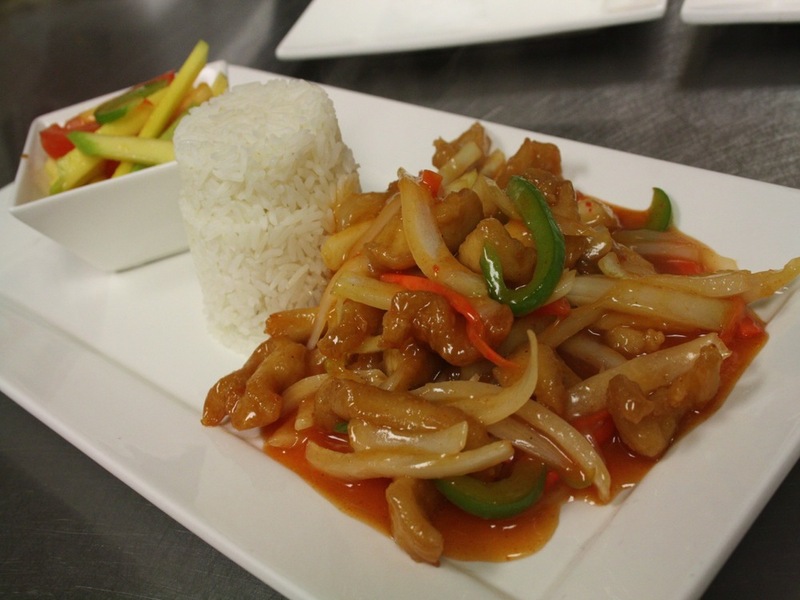 Battered pork stir fried with pineapple, onions and peppers in sweet sour sauce. A lightly floured and deep fried pork chop, cooked with five-spice powder. Shrimp stir-fried with onions, sweet peppers, tomato, and celery in house chili tomato sauce. Lightly floured and deep fried shrimp, cooked with five-spice powder. Jumbo shrimp stir-fried with mixed vegetables in house spicy sauce, and topped with roasted cashew nuts. Jumbo shrimp fried with onions, sweet peppers, celry, broccoli, mushrooms, and bamboo shoots. Jumbo shrimp fried with onions, sweet peppers, celery, broccoli, mushrooms, and carrots in Thai spicy sauce. Deep fried shrimp stir-fried with fresh mango, onions, and sweet peppers in Thai red curry sauce. • Each dinner combo is served with Spring roll, mango salad and steamed rice. • Served from 4pm till close. All dishes are medium spicy. • Salad may change depends on market availability. • Please inform us of any food allergies. • All dishes can be modified by request. Choice of chocolate, blueberry, lemon or caramel. • Each dinner combo is served with Curry Vegetable Soup, Green Salad, Spring Roll and Steamed Rice. • Served from 11am till 4pm. All dishes are medium spicy. • Salad may change depends on market availability. • Please inform us of any food allergies. • All dishes can be modified by request. Choice of chicken, beef, shrimp, or vegetables. No rice included. Minimum of 8 persons. Prices are per person.